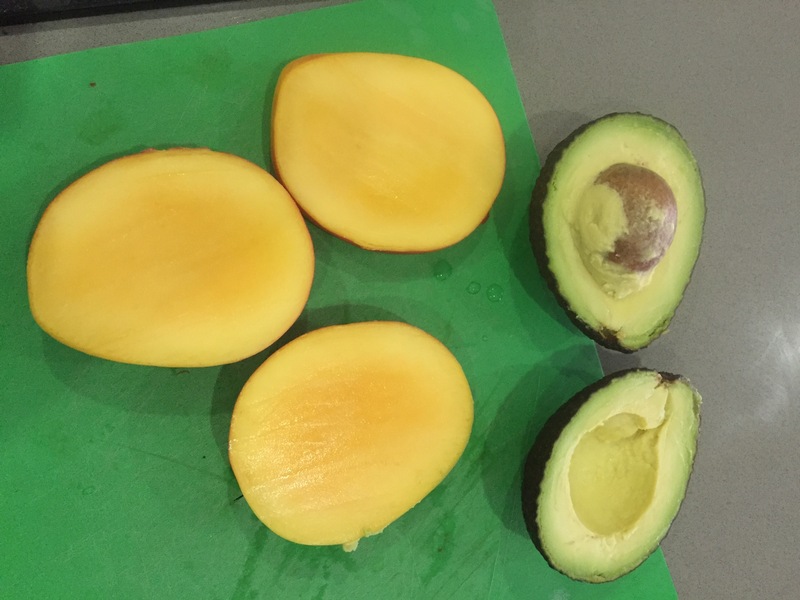 Chop the mango and avocado into small cubes of the same size and set aside. 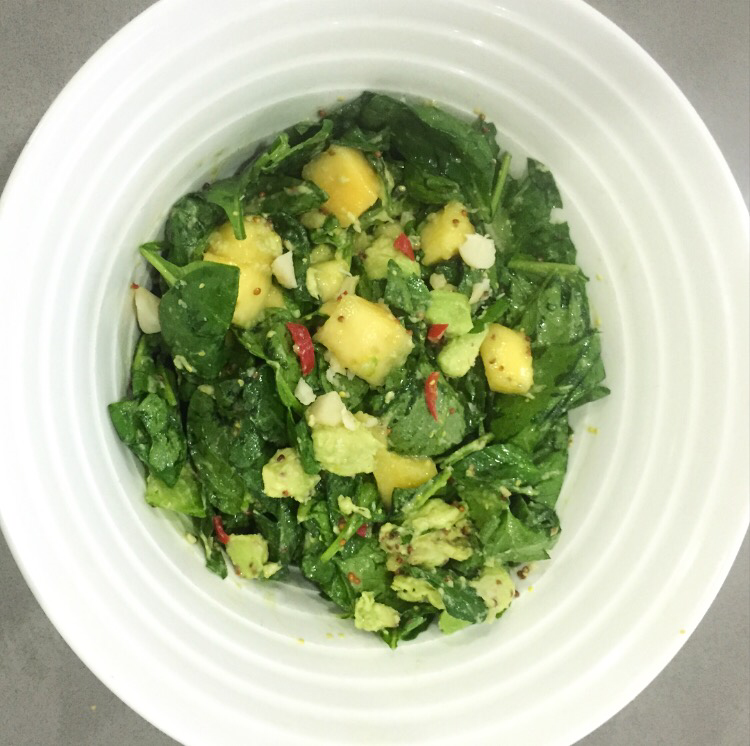 Put the lettuce and spinach in a large bowl, add the mango and avocado and the dressing and gently toss to combine. 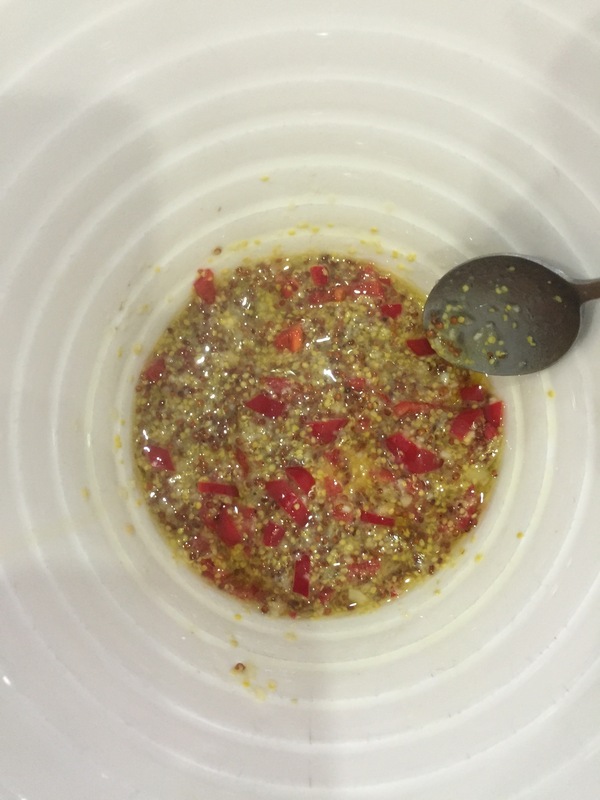 Sprinkle with the macadamia nuts to serve. Enjoy!